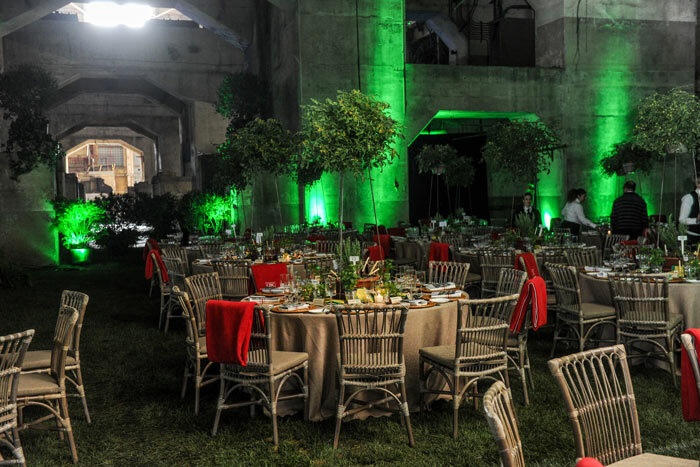 Although we are indeed corporate event planners, we tend to plan most events in not-so conventional spaces. 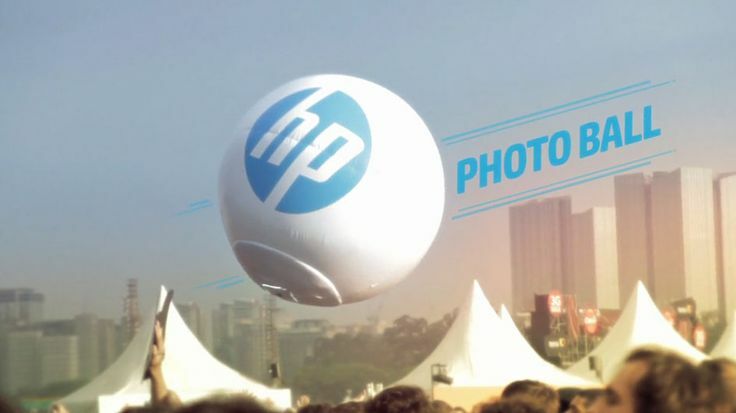 Delivering legendary events means thinking out of the box and thinking custom. Therefore, we absolutely love a good tent! 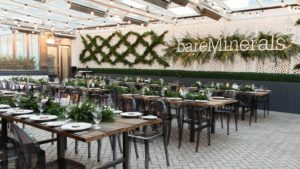 Hopefully you read our previous blog post Pros and Cons of Hosting Events In or Around the Home and were inspired to host your own soiree, or you found an awesome venue to utilize the outdoor space instead of staying inside. Whichever space fits for your type of event – tents can handle it all. But, where to start? Wait, there’s more than one kind of giant tent? Indeed there is! Aren’t options great to have? Sailcloth tents offer a crisp, clean look with a lightweight fabric perfect for events where style is priority. As members of the coastal Northeast – we’re definitely a fan of this style. Century Tents offer high peaks, and sweeping ceilings. This style tent does need to be staked to the ground, so you’ll need to consider a little extra real estate to include around the perimeter of your tent footprint. Want to ditch the center poles that come down from the ceiling and obstruct floor space? Framed Tents are for you. These tents come with options for clear or classic colored ceilings. 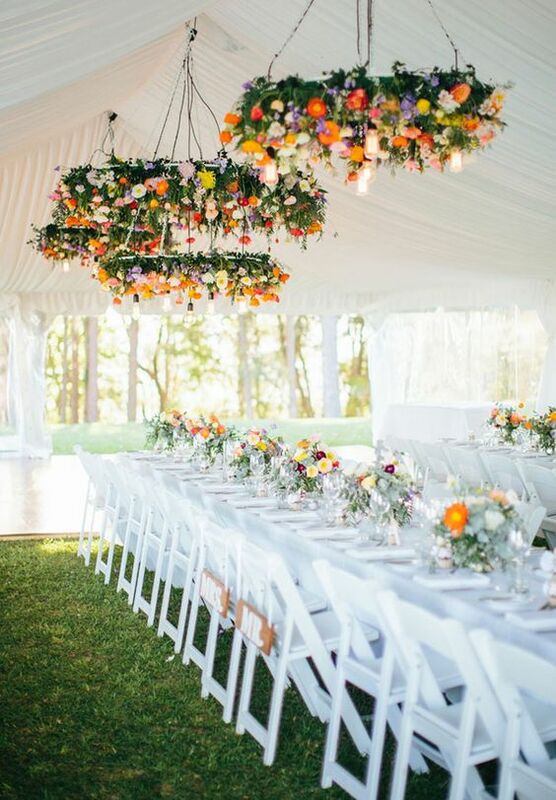 When you see a gorgeous photo of an event-ready tent, you’re probably looking at a wood floor installation, custom lighting, maybe even fabric draping, etc. The sad truth is that these do not magically come with the tent. Extra’s can add up and be EXPENSIVE. So, depending on your budget, you may not be able to afford to install floor throughout the entire space or cover up those aluminum poles with gorgeous fabric. Either way, manage your client’s expectation to work them into the budget sooner than later. We do however ALWAYS recommend having removable “walls” to protect the interior from rain, bugs and whatever else mother nature wants to throw at you. Sure, a light drizzle won’t ruin anyone’s dinner without them, but in heavy rain and 30mph+ winds, we were really happy about having them at a past event. Event planning is all about avoiding disaster on the big day, and making sure you are all covered on your permits & inspections is crucial. This is something overlooked by many but can completely ruin your event by the officials shutting it down. Please, please, don’t let this happen to you or your client. From electrical, to fire retardant materials, rules on candles and more, each of these is regulated by local government in each city/town. 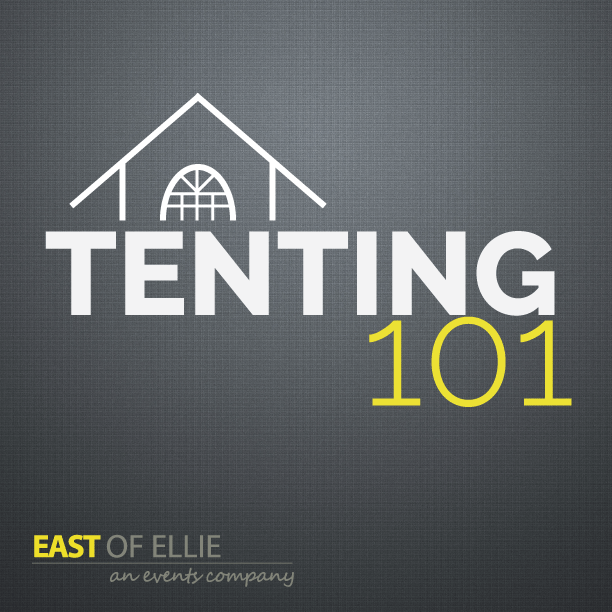 Talk with your tent rental company, local permit department, or any vendors ahead of time about everything you plan on executing so there are no day of issues. Congrats! You’ve passed Tent 101. Creating an event in essentially a blank canvas layout customized to your liking can be a ton of work but the end result will be so satisfying to both you and your client. Hello fellow planners and event lovers – Emily here. I haven’t been on the blog in a while, and with Ms. Cindy and the other little Ellie’s hard at work on all our summer projects, I thought I would do a little blog takeover. This should come as no surprise, but I am a little older than my crew – not a huge gap but a solid decade sets us apart. I did tend bar in College however, and since then have enjoyed a cocktail or two with friends and family so I’ll go out on a limb and say I know a bit about alcohol. This summer has been flooded with great cocktail ideas on Twitter and Pinterest. Here are my coolest finds and what I am calling Boozy Best Practices for the summer of 2016. 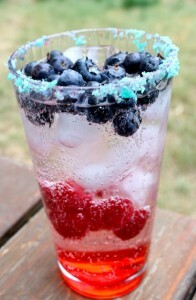 I am a vodka or wine kind of girl, but these bright and fun jello + fruit rind concoctions really got my attention. 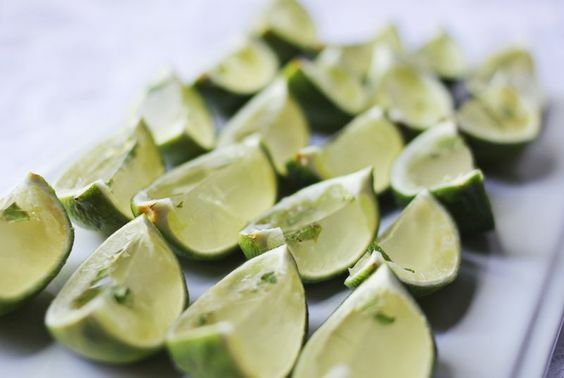 Basically all you do is hollow out your favorite hard rind fruit – watermelons are the most practical – but the rumor mill tells me that this even works on lime and orange rinds. Add your gelatin mixture to the rind – let set – and voila – its rind time. 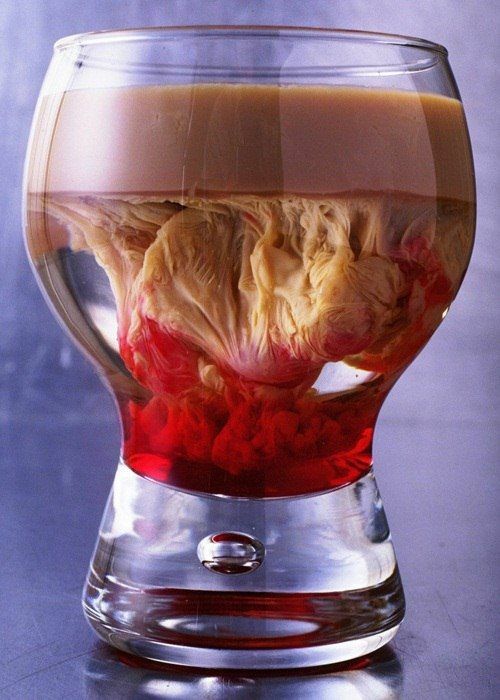 I would recommend serving this with something fancy added to it – like a curvy toothpick or one of those cocktail stirrers with the acrylic ball on top. Because if you have ever attended one of my parties, you know I love my details. OK so true story – I went to Bed Bath and Beyond and bought a popsicle maker. I am 4 years old, I can’t help myself. In full disclosure I also have a Snoopy Snow Cone maker under my bed (thank you Kelley Karp.) The mix got sticky and it made a huge mess so my fiance threw it out when I was away on one of my last work trips. He does stuff like that from time to time so I am now popsicle maker – less. My point: have you seen all the boozy popsicle images that have been hitting up Instagram? My favorite so far have been the bright color versions, and the ones that have been added to sparkling wine for a little extra somethin’ somethin. Go try this, go on, I’ll be here when you get back. Fun fact – if you use tonic water and then you enter a room with a black light, the cocktail will glow. I know, I wish I knew this 10 years ago, but it’s still cool none the less. Not that you are all running out to throw black light parties, but just in case you are, this is a must. Looking for these fabulous recipes? Well, I created a Pinterest board for you – aka I am saving these for my wedding. Enjoy and let us know what you think. Looking for a planner who knows the ins and outs and can make any element of an event creative and unexpected? Contact us today at rsvp@eastofellie.com. Let’s get planning! May has arrived and it feels like spring is finally on its way! Even though the sunny days to come are going to be wonderful, we can’t forget about the countless rainy days the spring weather brings to New England. As you take out your rain boots, umbrellas, and rain jackets, we want you to celebrate and embrace this rainy weather in our favorite way – through an event! 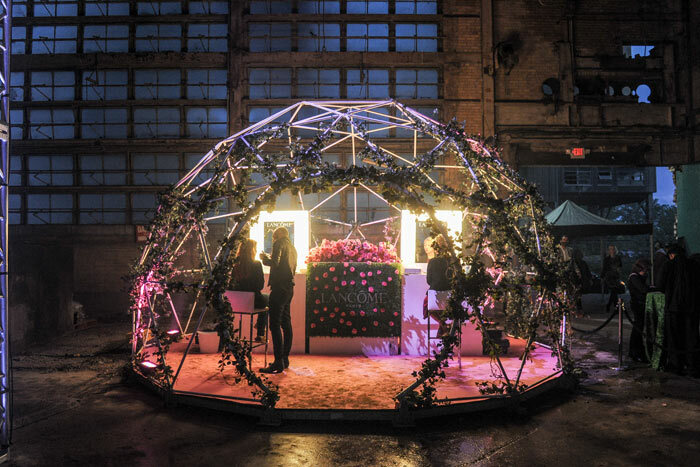 We’ve gathered our favorite tips on how to transform your event space into a unique April showers bring May flowers event! The bigger the idea the better! 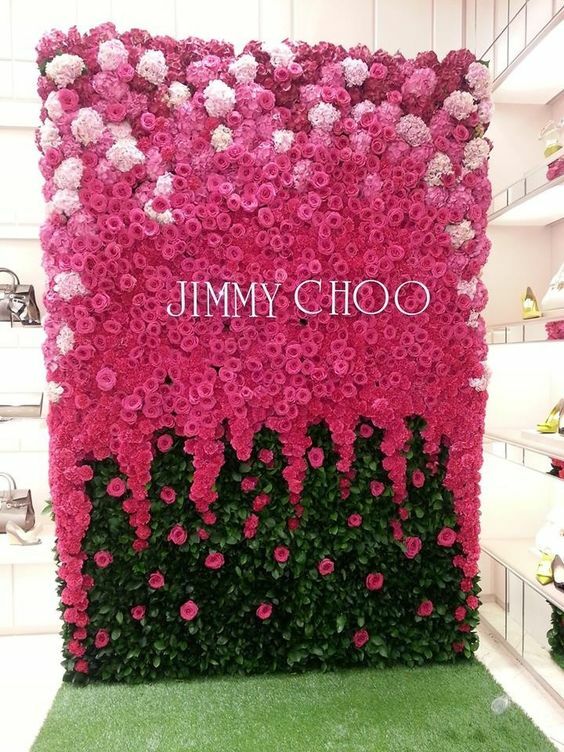 We plan events for luxury brands, so obviously we looked to Jimmy Choo to show us how a flower wall in store can inspire a bright and colorful spring line launch event. With colors of the brand, or colors from the latest collection, you can create something spectacular. 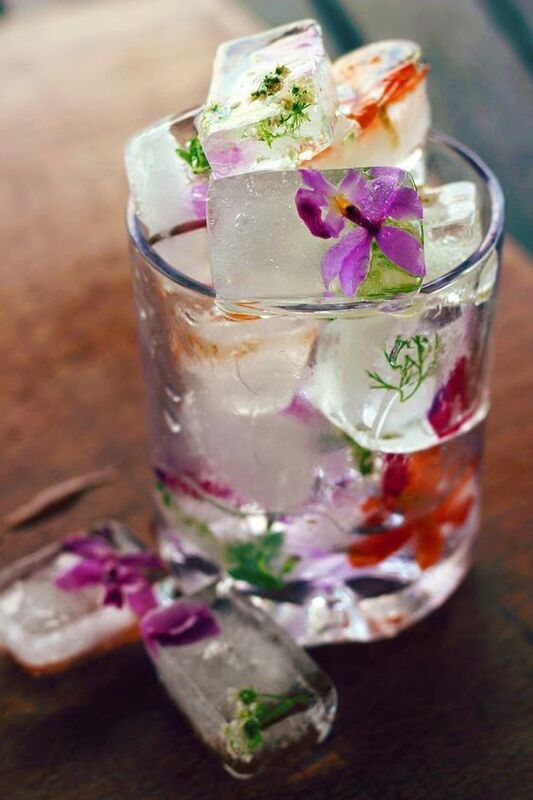 Cocktails are always a great way to get the good vibes rolling at a rainy day party, but how cool would it be to keep the May flowers theme going? 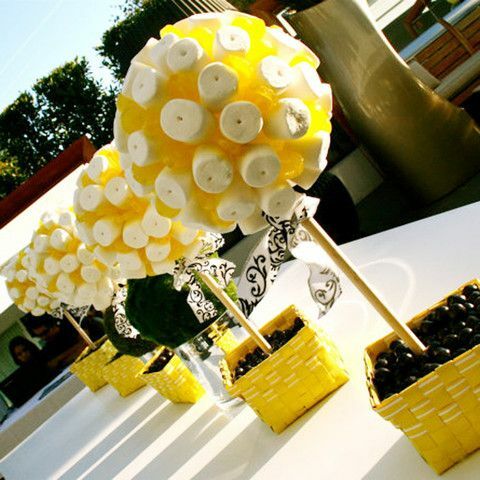 Adding a little element of your theme to every aspect of the event can wow guests, and continue the bright color pop. 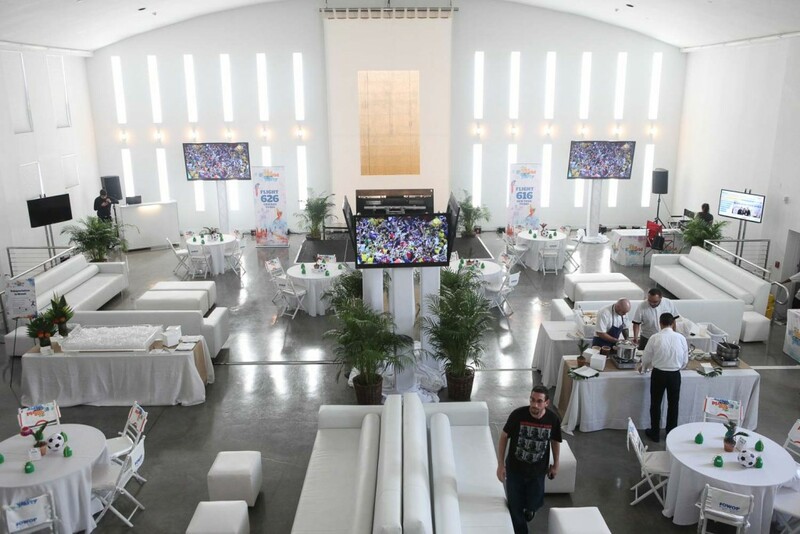 Have a high ceiling in your event space? Don’t let all the open space go to waste! These lighting fixtures captured us from the moment we laid eyes on them. 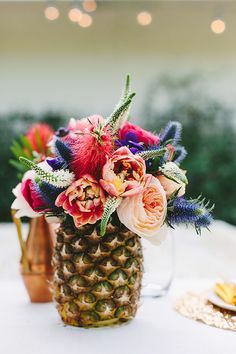 With this type of decor you can keep a simple table (more space for food), or you can really go all out and add more flowers and really surprise your guests. 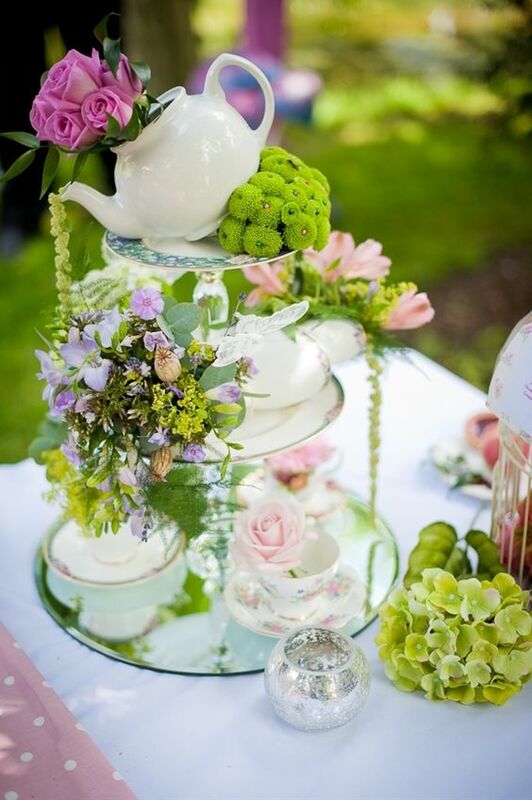 With flowers above, think of other options for the centerpieces like teapots, or rainboots! 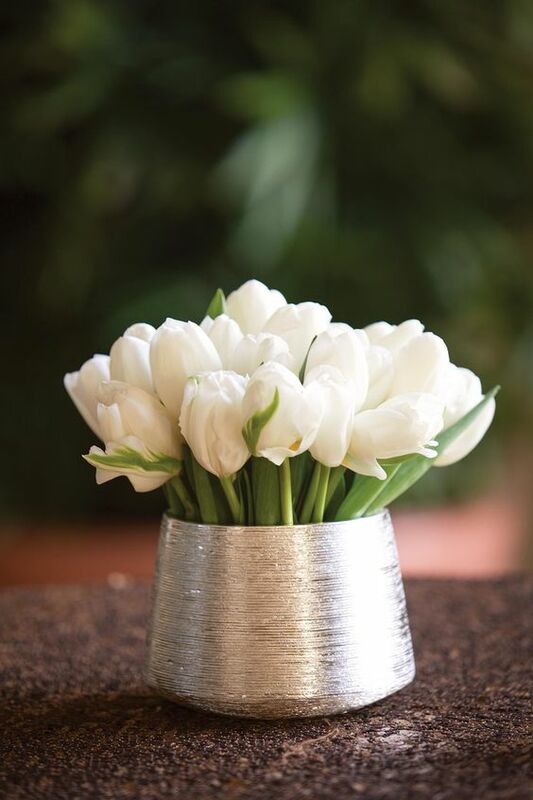 One of our favorite flowers are tulips. They give a traditional spring look, and add a classic feel. Sometimes simple is better than elaborate, so take your sweet spring time event, and add an element that is classic and unforgettable. Celebrate the beauty of spring and all of its craziness using our tips for throwing the perfect April showers bring May flowers event! 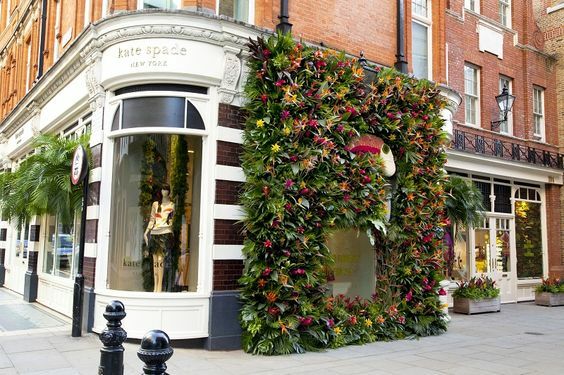 Want to take your elements of your brand and create a spring themed event but don’t know where to start? Contact us today and let’s get planning. Without a doubt, two of the biggest components to planning an event include food and decor. These elements often go hand in hand because having consistent branding or a theme keeps guests interested and excited to see what else the event has in store for them. With a creative touch, food can even act as the event decor itself. Edible centerpieces or even a wall of food can catch the eye, and make the guests hungry for more. Centerpieces are attention-grabbers; they are the focus of the table, so if you’re looking to bring a wow factor with your event decor, try making your centerpieces out of food. Give your guests with a sweet tooth a favor, and use chocolate coated marshmallows with different food colorings and designs. The colored chocolate allows you to own your brand, and give your guests a whimsical feeling. Another, all-in, option is making the centerpieces a place for hors d’oeuvres. 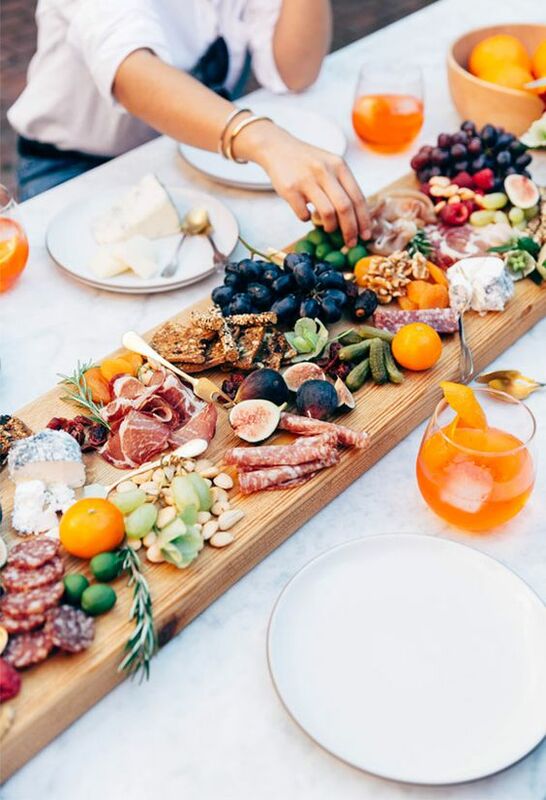 These wooden cutting boards, and elaborate spread of cheeses, meats, and citrus fruits will keep your guests entertained, and increases their appetite. We can’t forget about cake- one of the biggest edible decorations of all if your event calls for one. 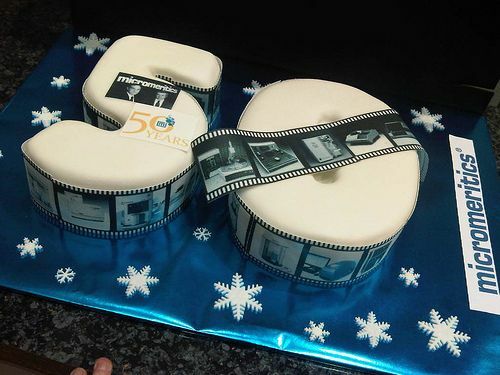 We love cakes because of the creative edge a client can put into it. From a company anniversary, to a congratulations and promotion party, they cover all boundaries. 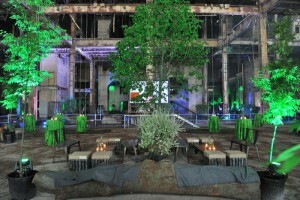 At our event for Nestle Waters North America, our mission was to WOW our client and guests with all things Perrier. 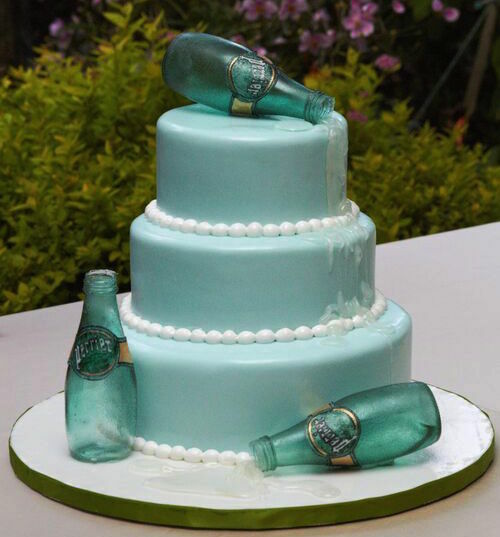 Our caterer crafted edible sugar Perrier bottles that were placed on the cake and it was the most attention grabbing decoration of the event (until it was devoured). A Wall of Food? Why not! Having a wall full of delicious food could keep guests entertained liked a bar would. Placing salads on one wall, and dessert on another could give the room a pop of color, and a sweet scent. What’s better than food with a view? There are lots of ways to creatively incorporate food into your event decor, whether you have a theme or not. This popular trend is making headlines in the industry, and event attendees will definitely be seeing a lot more of decorations crafted out of food in the future. 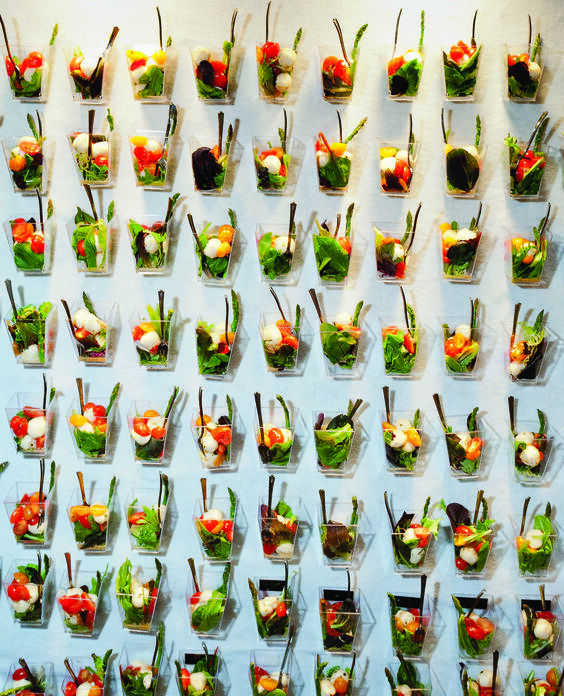 Loving this trend and want more inspiration on how to incorporate food into your event decor? Check out our Pinterest Board! Time and time again our clients ask us to wow them with a new venue or event concept that’s out of the box. Of course, our main objective at EOE is to create legendary events customized to our client’s vision. No matter the size of your budget or audience, leaving your guests with a memorable impression is important – so for fun at the EOE offices we host brainstorming sessions and dream up some pie in the sky style event locations and cities to keep in our secret vault. We are letting some of our secret location obsessions out of the bag just for you. Here’s our list of our favorite cities that we want you to take a look at. New York, New York– This may seem a little straightforward, but is it certainly one of the most underrated places to hold an event. New York City is designed with nooks and crannies that you never believe existed, like 501 Union and Tribeca Rooftop. 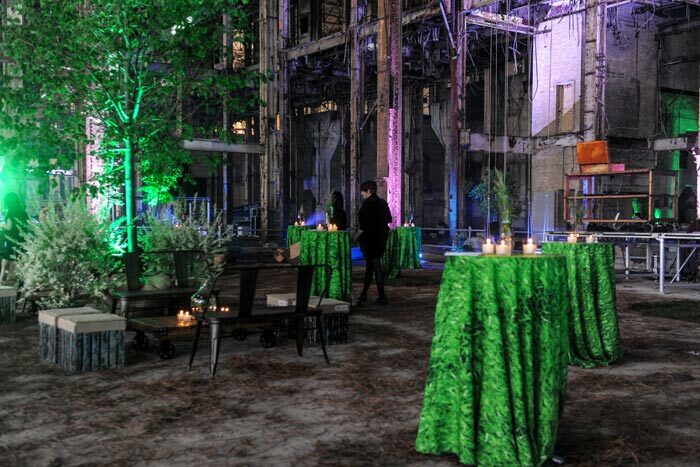 These spaces are unique, and hidden among the concrete jungle, and they’re waiting for your event. San Francisco, California-This leading, traditional, city of California has been the hub of social living for the past decade. The expanding population, and great appreciation for tourism is what makes this city perfect for hosting legendary events. Some of our favorites that we have found are the San Francisco Ferry Building and a Celebrity Cruise’s ship docked in San Francisco bay called the DreamBoat. The ship holds over 150,000 people, and custom creates your company’s logo for the pool on their party deck. 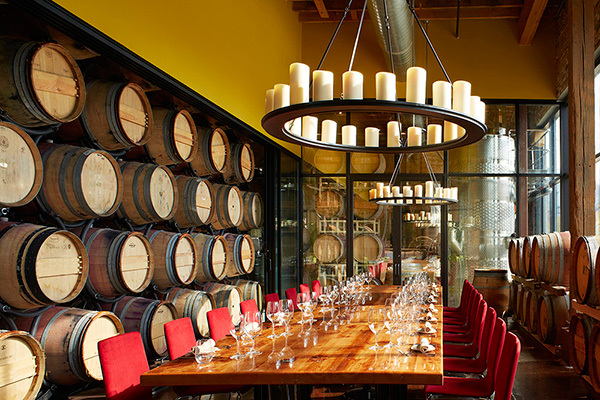 Chicago, Illinois– While we can all agree what waterfront venues are the go-to for “spectacular events” we’ve found some for you in the MidwestFrom the City Winery, to The River Roast. 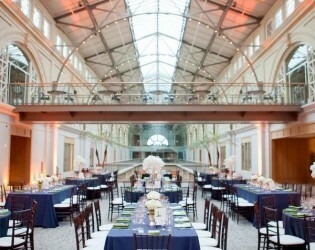 These venues are known for their traditional architecture, and gorgeous city views. Many headquarters for Fortune 500 companies are located in the Midwest, so why not plan an event close to home that will make your company the talk of the town? Miami, Florida – If your company likes warm weather mixed in with their innovations then you should check out Miami as a possible city for your event. The Temple House is a mix of clean slate, with technology and possibilities. 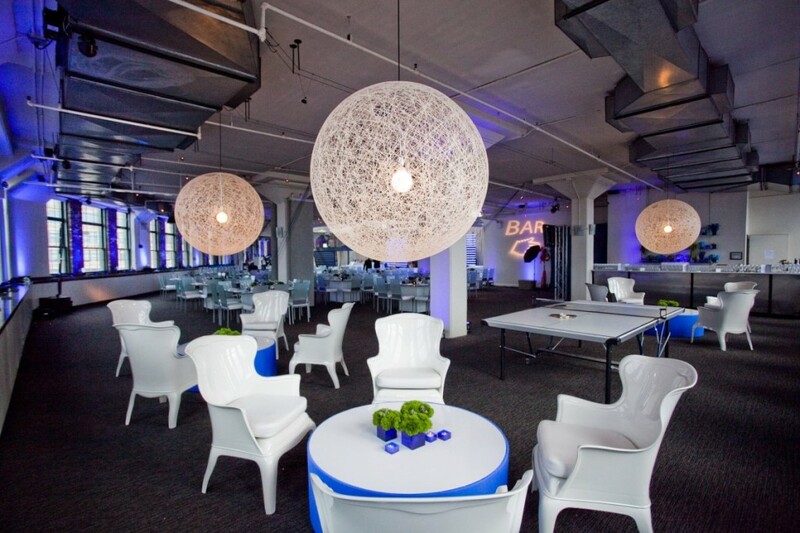 With a large blank space you can customize this venue to be as enthusiastic as your brand. And who doesn’t like warm weather? Have you ever been to a venue that absolutely stunned you? We would love it add it to our list! 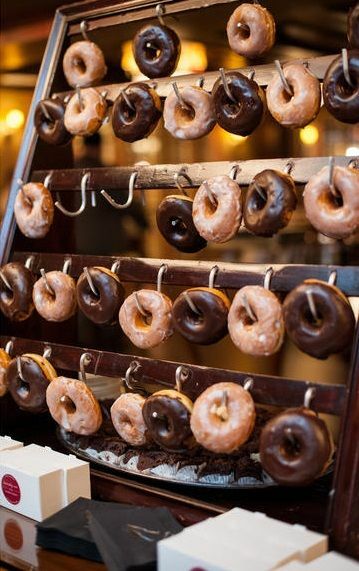 See our Pinterest board for more examples of what our little event planner minds dream about at night. 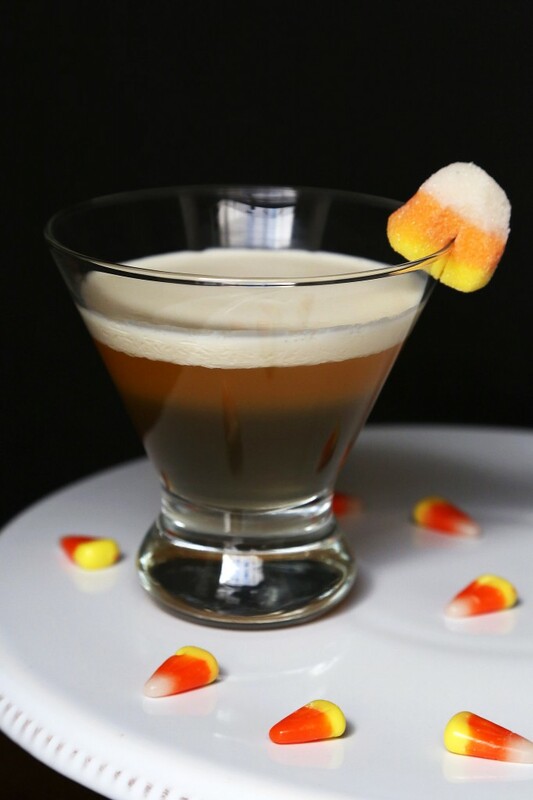 We admit this cocktail is seriously lacking in the spooky department, but we love the sophisticated twist on the classic halloween staple; candy corn. With flavors of banana, peach and white rum, your guests are in for a treat. Find the recipe here via PopSugar. What would halloween be without some dry ice? 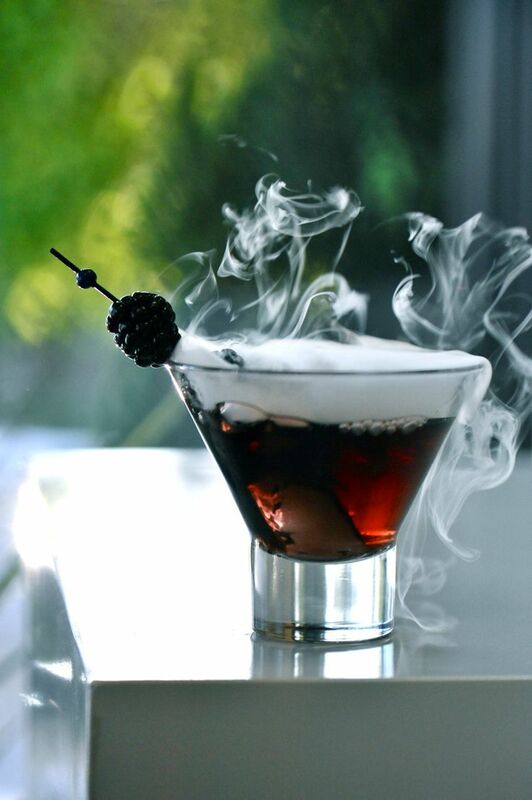 This Vampire inspired dark raspberry cocktail sets the mood topped off with foggy flare. 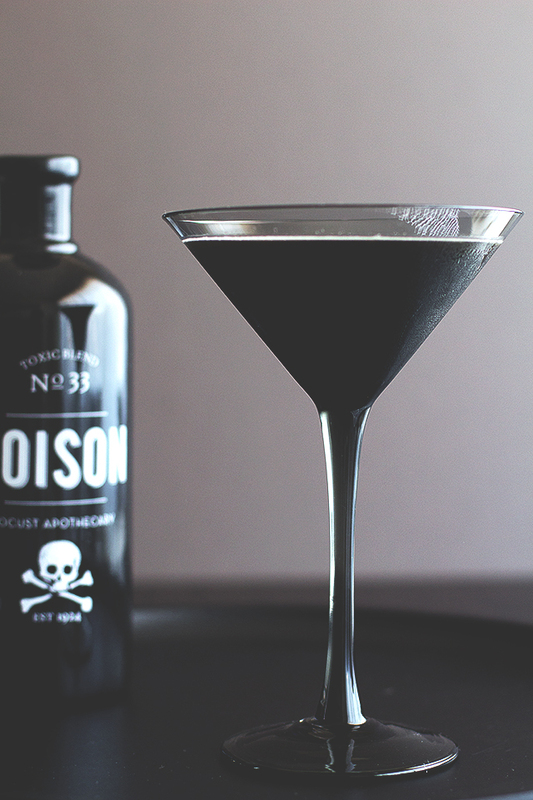 Finish with a black toothpick and black raspberry for a deliciously creepy cocktail. Recipe via Jay’s Catering. How do you upgrade your typical halloween gathering to be sophisticated? Let us know in the comments below. 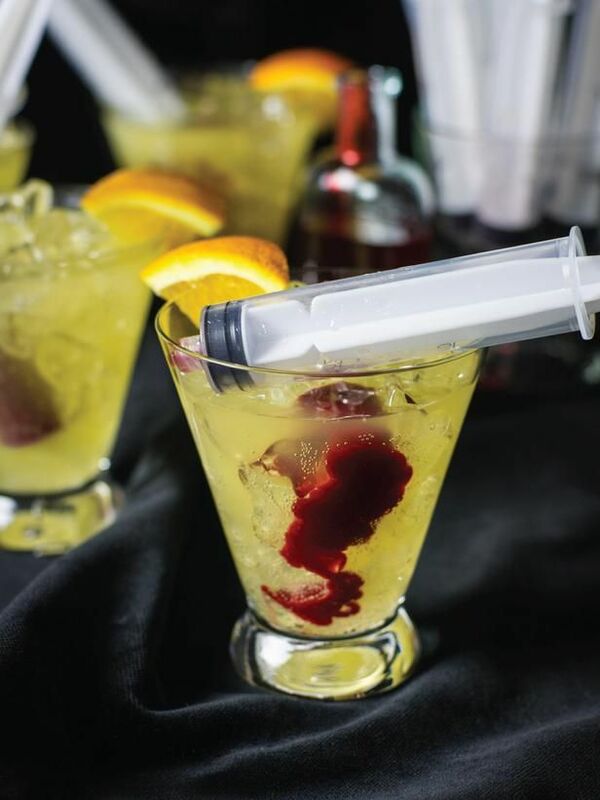 Looking for more cocktails to concoct? See our Pinterest Board! Is less always more? These companies believe the opposite of the old saying when it comes to their branding at events. With so many companies competing for engagement and exposure from attendees, their branding keeps getting creatively bigger and better, and it’s working. 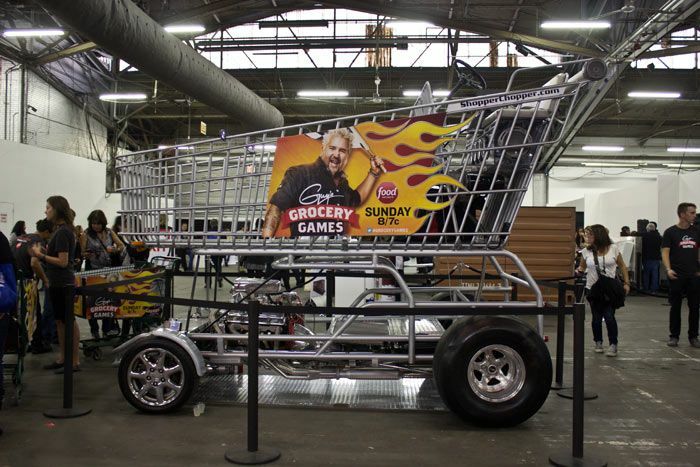 How could you possibly ignore a shoe box the size of a home, or a grocery cart that looks more like a monster truck? We sure couldn’t. Tents are not revolutionary to the outdoor event space either, but molding a classic tent to match your brand and product is genius. 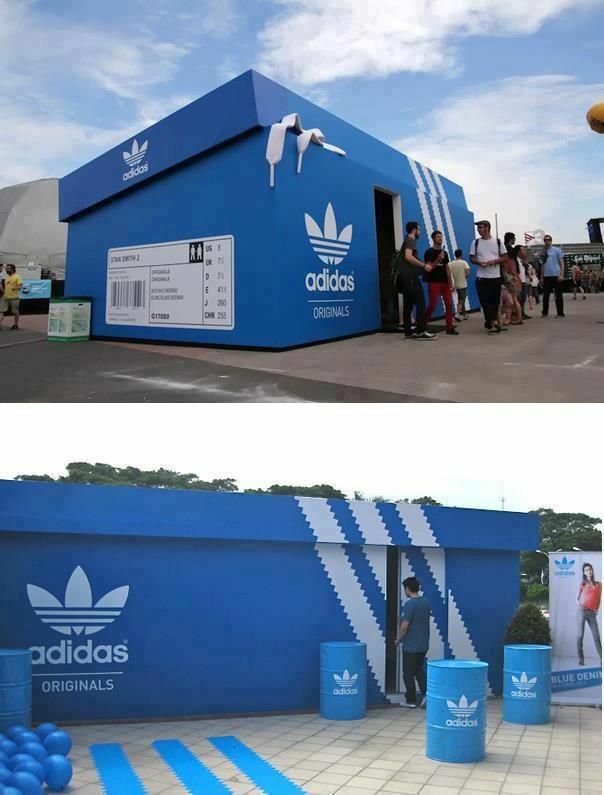 Attendees won’t be able to resist finding out what’s in this giant shoebox, which is exactly what Adidas wants. When Xbox’s consumers use their product, they are transported to worlds beyond their imagination. 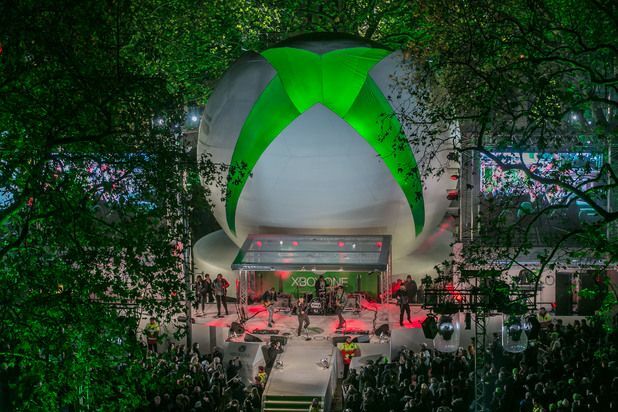 So to live up to what Xbox offers its consumers, they have to give their best shot at creating a stage that challenges reality. And of course, we couldn’t forget about the event we’ve been working on all summer. At Consoles launch event the venue in Nob Hill, San Francisco provided the perfect opportunity to make a visual impact in a big way. These 9 ft panels took hours to assemble perfectly – but the impact was priceless. Inspired by these big name brands but still not sure how to execute so that it makes sense for you? Lets chat! Contact Us. If you’re looking for even more inspiration, check out our Pinterest Board here. The best events are always memorable – whether that be a concert, a gala, a charity event, the type is irrelevant really. What matters, is how the event is executed and the experience. 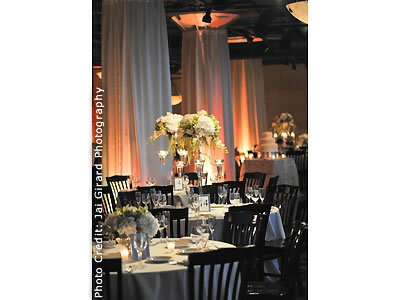 The most memorable events are usually unlike anything else, so thinking outside of the box is a must for planners. To awe your guests, you must exceed their expectations. Sometimes, you just can’t decide on a theme. So, why not combine two? 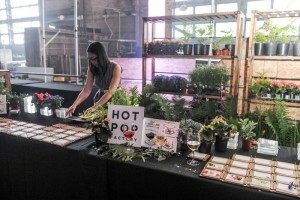 At the opening party of the Luminato Festival in Toronto last month, the event combined two theme ideas: Lush Forest and Post-Apocalyptic Wasteland, making for one of the coolest event themes we’ve seen. The venue decorators went all out to bring this futuristic theme to life. The rooms were filled with plants, trees, and even carpeted with sod. The decorations attributed to the feel of the theme, but it didn’t end there. The smell of live plants and noises typically found in a forest filtered through the air – yes, you could hear crickets. To increase attendee participation, there was a DIY flower pressing station, and guests could get their makeup done at the Lancome flower-filled dome. 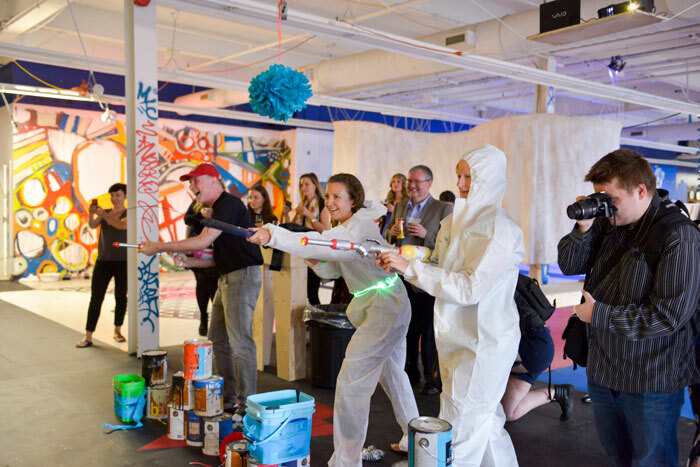 Last month, architecture firm, Raw Design, took guest engagement to a whole new level. 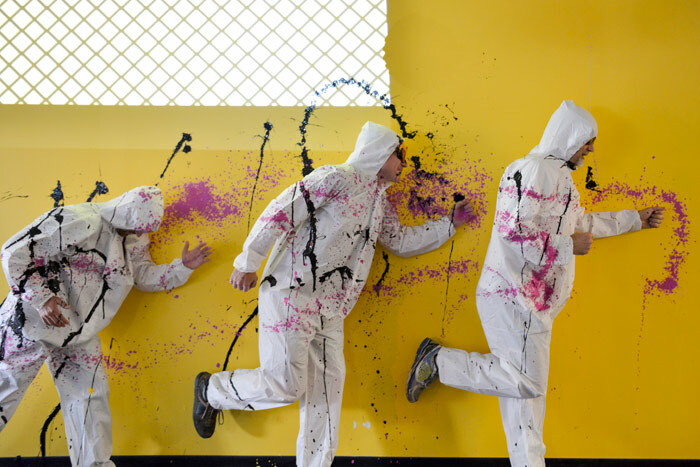 During their annual party, they invited guests to paint the floors, walls, and themselves – don’t worry, they handed out full-body smocks. The theme was “Raw Canvas” because the firm wanted to show how art and architecture were connected, and they did so by painting all sorts of shapes and objects. 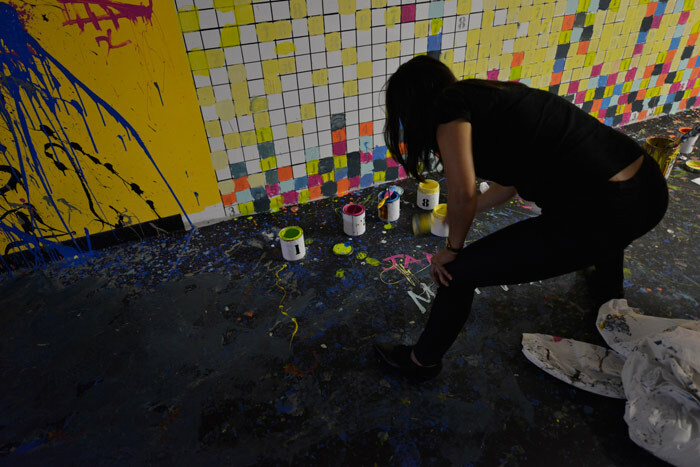 Guests arrived at an undecorated event space, but after the event, all spaces were covered with paint. 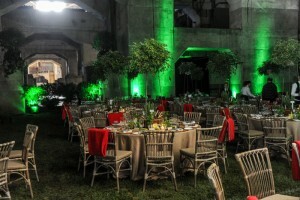 The firm’s goal was to make sure the guests were able to participate in the making of the event and having fun. 4,000 Instagram posts later, they achieved their goal. 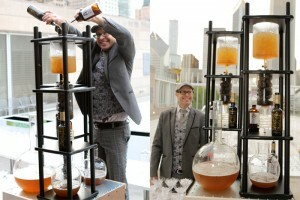 The Art Institute utilized an interactive bar and mixologist. The mixologist demonstrated how to make specialty cocktails that represented different exhibits displayed at the museum. Sometimes, the most unique and out-there ideas can make for the best event, so don’t be quick to exclude any crazy ideas you come up with in a brainstorm. As long as the theme is well thought out and comes full-circle for your brand, you can pull off a great, creative event that will get your guests talking and posting. Having trouble coming up with a creative concept to wow your target audience? Contact us today for our creative expertise, and let’s get planning! 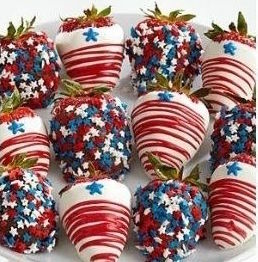 As you could imagine, we are excited for 4th of July. 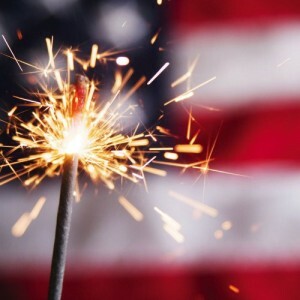 Any holiday that calls for lots of parties is right up our alley, not to mention the fun patriotic theme and the sparkly entertainment – who doesn’t love fireworks and sparklers? 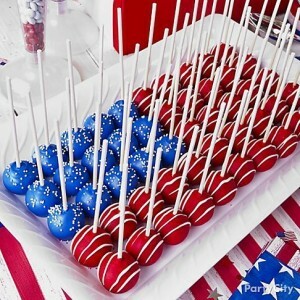 Every year, we attend another 4th of July party, and let’s face it, all the parties mesh together because it’s all the same. 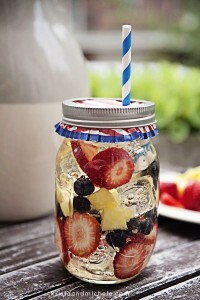 We want to show you how you can add a bit of excitement to your annual 4th of July party and make it more memorable than the last with these fun food, drink, and decor ideas! 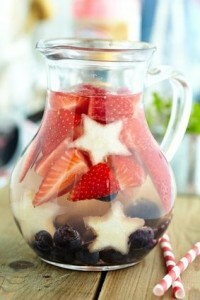 Anything red, white, and blue is perfect for your party- just add fruits, food coloring, and colored ice to spice it up. 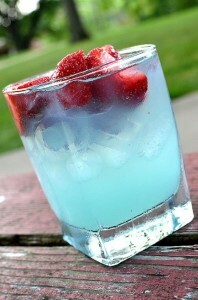 Make a few colorful cocktails virgin so the kids have a special drink too. 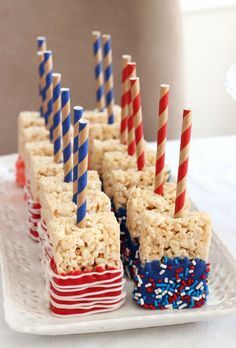 We’ve all seen 4th of July cakes and cookies. 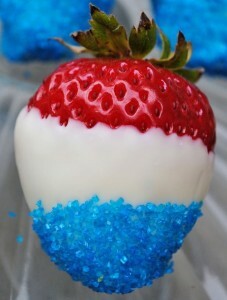 So mix it up with colored cake pops, chocolate covered strawberries, and rice crispy treats. 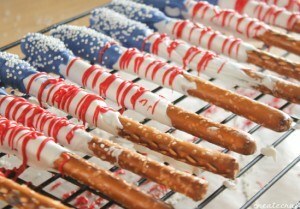 These yummy and colorful desserts are an easy way to make your party look special! Want something even more creative than those ideas? 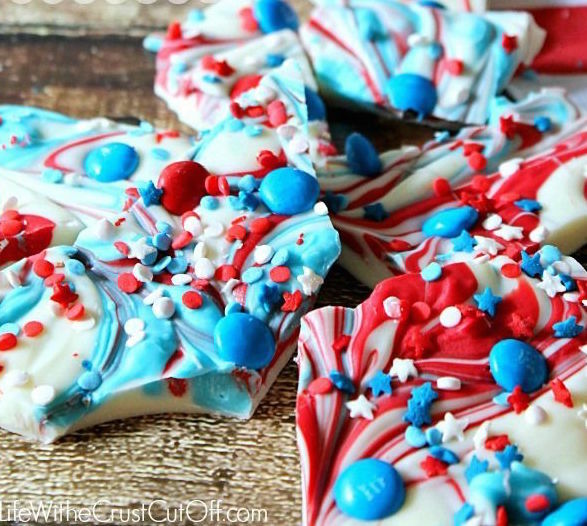 Most of us haven’t seen 4th of July style peppermint bark or chocolate covered pretzels. Your guests will be excited to have these special treats! 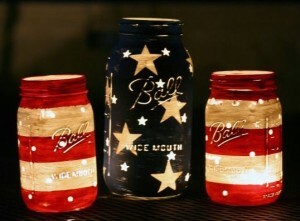 Decorated mason jars are a great centerpiece that adds spirit to any party. 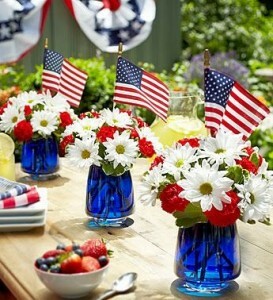 If you want to add even more sparkle to these centerpieces, add a candle or sparkler. 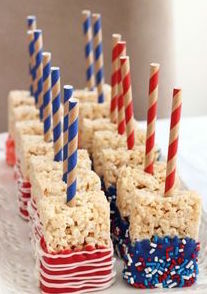 If you are over the top (like us) you will want to do everything to make your party special. That means lawn paint and streamers. 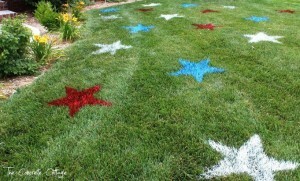 Use star stencils to paint colored stars on your lawn. It’s easy and looks awesome – it will definitely get people talking. 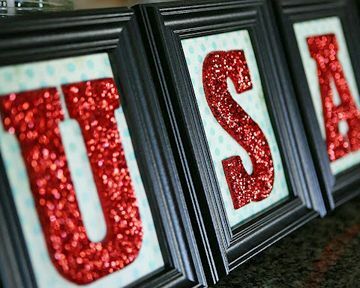 With these ideas, you can sit back and enjoy your 4th of July party and know that it will stand out! Your extra effort will make your party be one for the books! 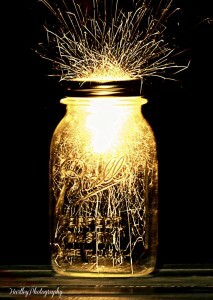 Looking for some creative events ideas that only East of Ellie can offer? Contact us today and let’s get planning! 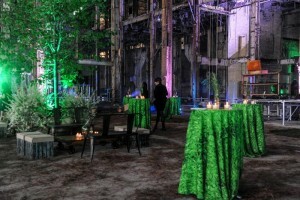 At East of Ellie, one of our favorite aspects of event planning is just how creative we can get with event décor. Sometimes the best ideas come from the bending of the traditional rules of event planning. It can be something as simple as swapping out a traditional floral arrangement for something a bit more unique. For themed events, centerpieces are a great way to subtly incorporate your event look and feel without replacing elegance or sophistication. 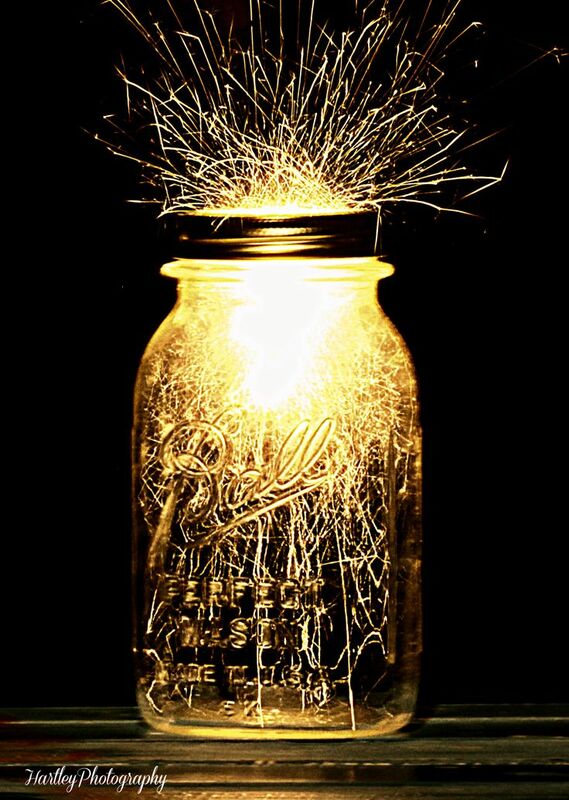 Here are our favorite out of the box centerpieces to inspire your next event. Worried about your centerpiece obstructing your table and guest’s ability to socialize? Take your design up a foot or 2 and have any light objects descend from the ceiling. Just make sure to go a little higher for events involving NBA players. 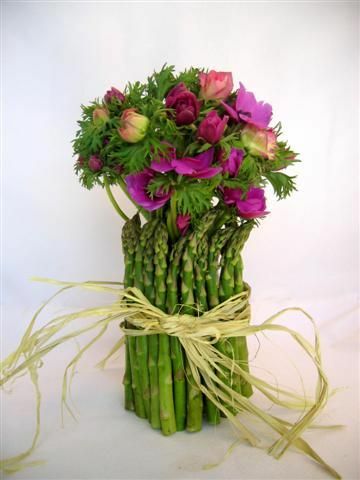 A great centerpiece concept for organizations involved in healthy eating, going green, or just asparagus lovers alike. The rich purples and vibrant green hues in this creative centerpiece are sure to draw eyes to its beauty. 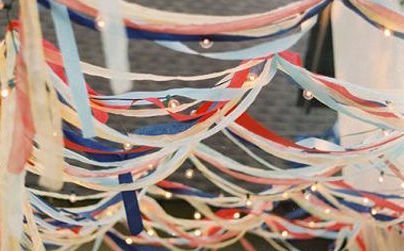 Luau themed events can go from sophisticated to child birthday-like in the matter of seconds with bad décor choice. This centerpiece channels Hawaiian culture and has tropical written all over it without looking tacky or immature. Looking to avoid floral all together? 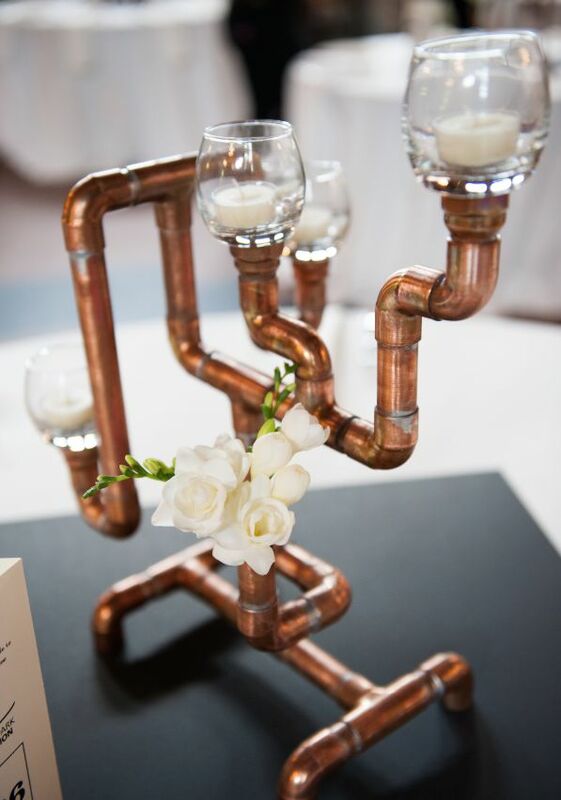 This arrangement of copper piping brings an industrial rustic feel to any event. 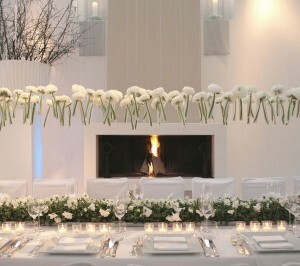 The white candles and tiny floral addition are key to balancing out the masculinity of the décor. Looking for more inspiration? Visit our Pinterest Board here. Still stumped on what to use for your event? Contact us today for our advice with no obligation. Maybe it’s the idea of the bottomless Bloody Mary’s, or perhaps the excuse to eat for 2 meals in one sitting, but people LOVE brunch. Brunch is unlike any other meal and carries a fun, modern persona of its own. There is something so satisfying about sitting down and spending hours socializing with a Mimosa in hand an endless supply of buffet style, heartwarming food at your disposal. Many venues will charge less for daytime use of their facilities, leaving more room in the budget to upgrade other areas of the event. As Event Planners, we know even a little extra dough (no pun intended) can go a long way! Lighting is a huge mood setter for an event. All natural sunlight is a nice change up from the “nightclub style” lighting that other events need to customize a venue when it’s pitch black outside. Scientist have proven that sunlight can actually improve our moods and happiness levels. Happy guests = successful event! The best part of brunch is, of course, the food and drink. Since dinner is traditionally more upscale, brunch supplies the opportunity to get creative with “build your own” food and drink bars. Guests are sure to love this style of serving, because they can make their food exactly how they like it. Looking for venue, decor, or catering ideas for your own brunch event? Check out our Pinterest board here! To put it in more familiar terms, it’s the basis of Uber, AirBnB, and more companies that are changing the way we live everyday life by offering to share things or services already owned by others. 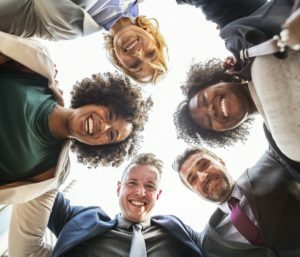 And while many apps come and go in regards to popularity, Entrepreneur magazine deems the success of businesses engaging in the sharing economy “not a fad – it’s a new way of doing business”. So, how will this new age of having access to every day needs in the palm of our hand benefit the lives of Event Planners? We’ve broken down the top apps and their features to see how they can make our lives a bit easier. Event planners go above and beyond to ensure their guest experience is nothing short of amazing during the event, but why stop there? AirBnB offers unique places for your guests to stay while they are in town for your event. From castles, to island villas, to homes with the most unique architecture you’ve ever seen, and even a houseboat on the Seine River in Paris (yes, that is a real thing on AirBnB) the possibilities are endless. Guests and clients won’t be able to stop talking about the experience you’ve provided them. And of course, who says you can’t book your own personal accommodations in one of these amazing spaces? One of the best features that Uber has is the accessibility for people to be picked up in a moment’s notice. As event planners, we all know someone will need us ASAP at the venue site without warning. For clients and guests, Uber offers rides that match style with budget. For high profile clientele, there is a LUX option. For big groups, the SUV option is ideal. And for you, the event planner, UberBLACK will have you arriving in style without breaking your budget. TaskRabbit connects you to people who have the skills necessary to get what you need done. While the tasks range from moving help to grocery shopping & delivery, they also offer event services such as bartending, décor installment, wait staff, entertainment, marketers, and more. Taskers are rated and reviewed after each task so you know what you’re getting before you commit. This one has a special place in our hearts. The official dog of East of Ellie, Oliver, needs a place to stay when the team is across the country executing an event. Since event planners have more flexible schedules, it is likely that many of us have furry friends that enjoy our company on a daily basis, but need loving homes when we travel. DogVacay allows owners to leave their dog with a host who will take care of the dog. It’s cheaper than a kennel and gives dogs a more comfortable place to stay. Don’t miss us too much, Ollie! 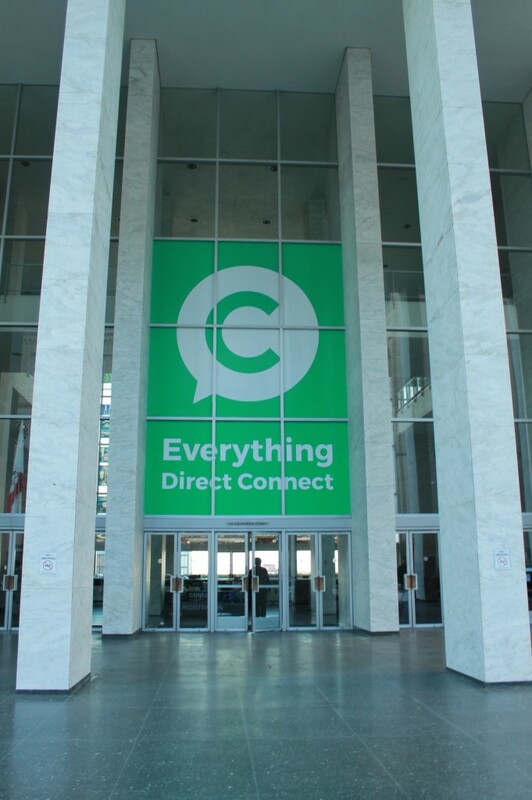 WiFi can be the biggest struggle on the road for event planners. Constantly asking public spaces to share the password, paying hourly fees, or just scrolling through the list of networks that display the dreaded lock symbol, can put a damper on your productivity. Using Fon, members share a bit of their home WiFi, and in turn get free access at millions of other Fon hotspots worldwide. Sounds like a good deal to us.We’re all about anything that can make our lives easier before, during or after our events. Looking to ease your life while planning an event? We’re here for you. Contact us today and leave the planning to us. At East of Ellie, our bars serve more than just cocktails. 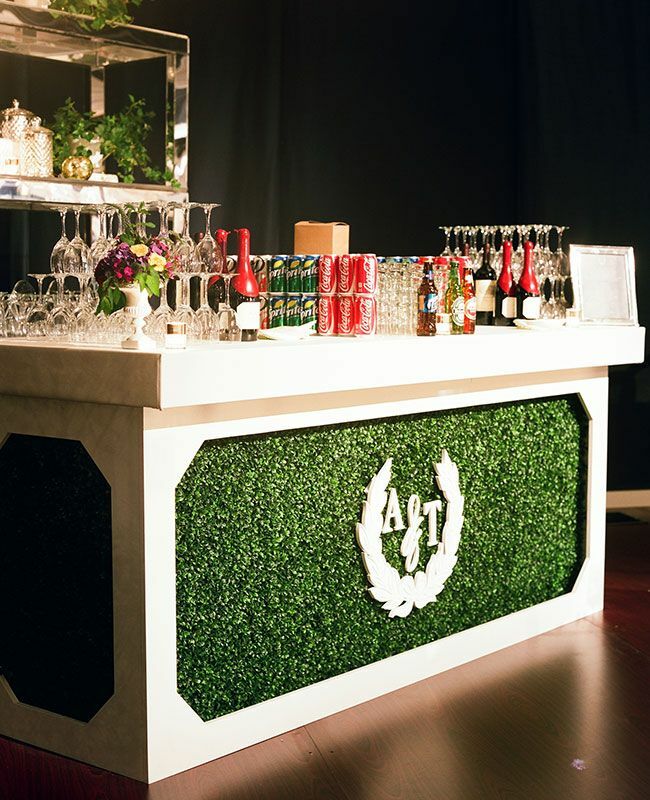 At many events the bar is usually considered the social hub where guests love to socialize and relax. This area serves as the comfort zone for guests as they arrive. They can walk in, grab a drink, and chat with other guests as they do the same is typical event culture. 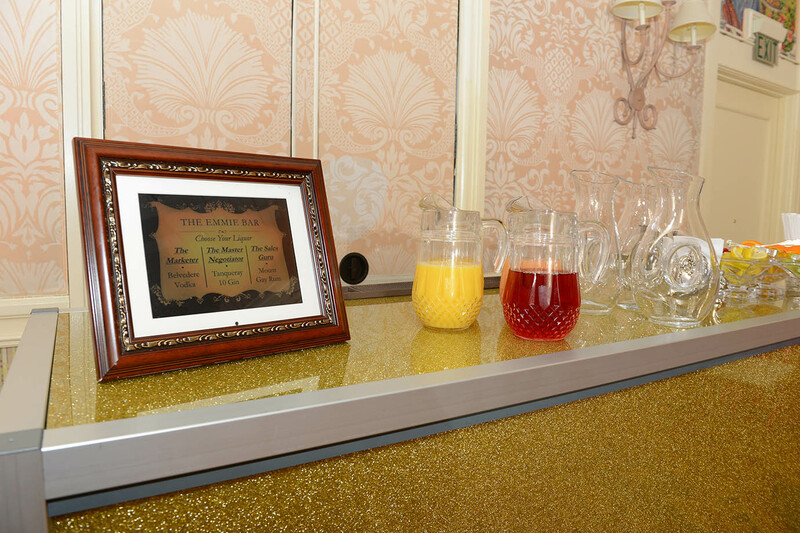 As the event continues, the bar is almost always a place visited a few times by guests. Branding your event’s message where guests are likely to be is a no-brainer, but it must be executed in a subtle/playful way to tie into the informality of a bar. In this casual atmosphere, companies are given the opportunity to kick it up a notch with their creativity in deciding how they are going to incorporate their event’s message – like in a company logo, or a key message. When our client Bulgari asked us to honor their Vice President of Marketing and Sales in a big way we decided that naming a bar and the drinks after her was the best way to execute during an internal event. In relation to your event it’s a fun way to involve guests since, lets be honest, they must order the specialty drink by name! Going forward they can always reference their delicious drink or fun memory with that creative drink name. 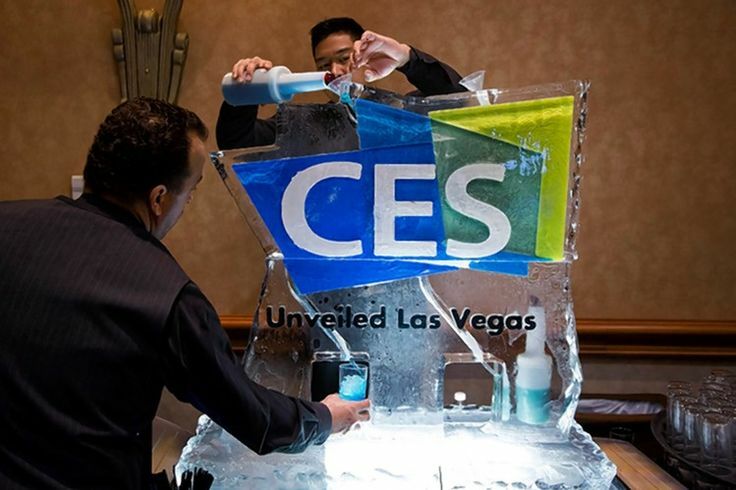 The International Consumer Electronics Show (CES) took the opportunity to show off their logo right in the middle of an ice luge. Instead of using the ice luge as a traditional shot transportation into someone’s mouth, the event kept it classy and instead, guests received their drink from the bartenders pour. Well done, CES! For the CEO of Nestle Waters Retirement Party, our event’s message was to display the brands he had built over his years of service. 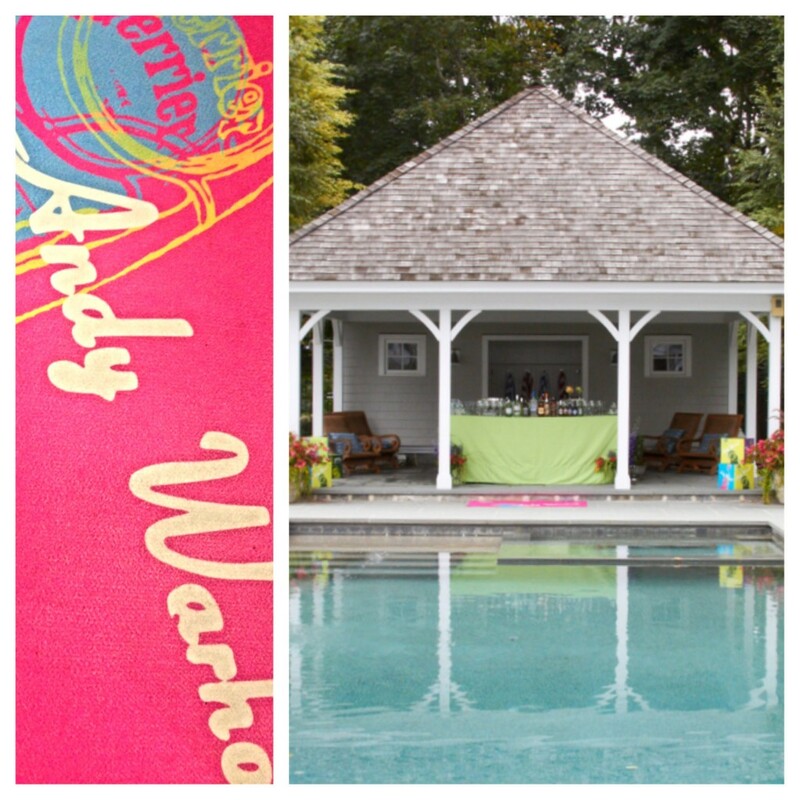 East of Ellie accentuated the private pool house with pops of color and Perrier inspired decor that mirrored their recent launch of their partnership with the Andy Warhol Foundation. Adding your logo to the front of the bar may seem like an obvious move, but by executing it in a way that blends with décor is a fun yet effective way to go about branding. This logo was incorporated without sacrificing an ultra luxe atmosphere that guests are sure to enjoy. Looking to create your own branded social hub? Let us bring your target audience together for an experience they won’t forget. Contact us here.